Booking The Electric Swing Circus will cause a storm at your special event! 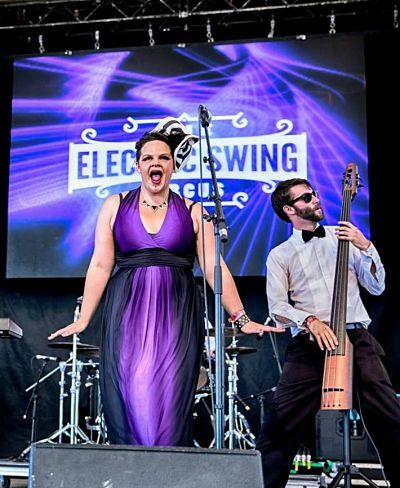 We are a booking agent for The Electric Swing Circus, and can arrange for them to perform for your guests. The Electric Swing Circus is a six-piece band from Birmingham. They danced, turned, flipped and cartwheeled their way onto the Electro Swing music scene in the year 2011. Their passion is on display in an impressive fashion, whether they are performing at live-events or dance and theatre. They put on a dazzling display which captures the essence of the swing movement of the 1920’s. 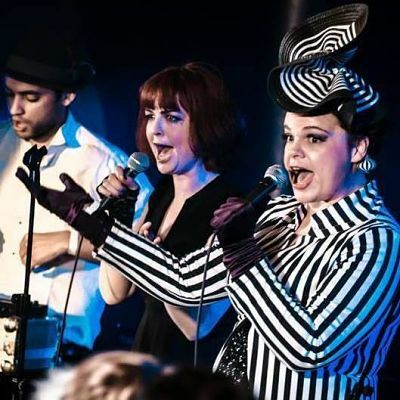 The band is fronted by the sassy sisters of swing and they are backed by various instruments like live drums, fretless bass, keys, synths, gypsy jazz guitar and swinging samples. 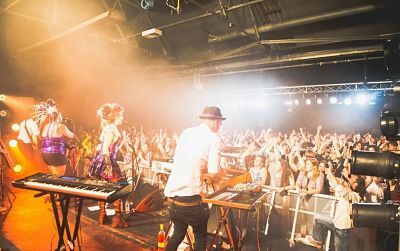 Electric Swing Circus can play through everything from House music and Breakbeat and to Dubstep and Jungle music, all while staying true to their unique style of Swing. Contraband is the UK’s top booking agent, with hard-working, experienced account managers who guarantee you the best deal possible. 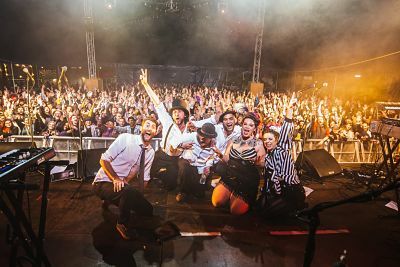 Contact us today if you would like to book The Electric Swing Circus to be the headline of your event! We as your booking agent are more than happy to help you create the most memorable moments with The Electric Swing Circus.